New Delhi, Oct 6 (IANS) Those who have admired Mithali Raj’s skills on the 22-yard strip will now get a chance to take a closer look into the cricketer’s life as her autobiography will soon be released. Published by Penguin Random House India, the book, scheduled to be released next year, will provide a candid and revealing look into her personal and sporting life. Not only will it be a treat to cherish for her cricketing fans, but it will also be a captivating story of how an ordinary girl went on to inspire real change and made the world sit up and take notice. “I am thrilled to be a part of the Penguin Random House family and excited to share my story through them. I hope people come to like it through this book,” Mithali Raj said after the announcement. Radhika Marwah, Associate Commissioning Editor, Penguin Random House India, in a statement said that Mithali Raj “is a remarkable role model and is testament to the virtues of perseverance and hard work”. 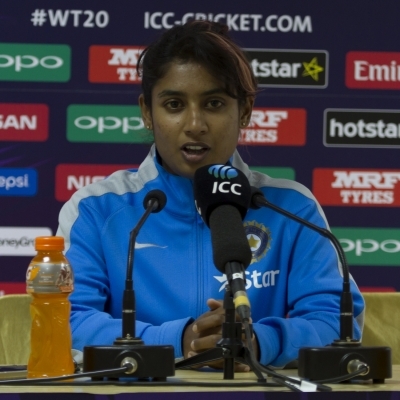 Mithali is the highest run getter in the world with 6,190 ODI runs. The Arjuna award winner, at 19, emerged as one of India’s most capable batsmen with a staggering 214 against England in the second and final Test at Taunton. She is the first captain to lead India to an ICC ODI World Cup final twice in 2005 and 2017. She was honoured with the Padma Shri, India’s fourth highest civilian award, in 2015 for her contribution to cricket. In 2017, BBC named her one of the 100 most influential women.